At this point, I think it’s safe to say that you all know I am a huge bookworm. I make time to read every single day, even as a busy homeschooling mom. It is that important to me. I read many personal growth type books, but often I will read books to inspire and encourage me on my spiritual journey. It depends on the season I am in and what I need. You may have seen that I tend to write in my personal development books, but I don’t write in my Christian living books. I read these books not to take notes, but to soak in all the goodness that I can, and really breathe it in. I do have a prayer/faith journal and will occasionally write down something that struck me from a book in there, but it’s not the goal. While I do prefer to actually hold a book in my head, I have many of these books (and a million more) on Audible Membership . This way I can listen while I am cooking or cleaning and still enjoy it. 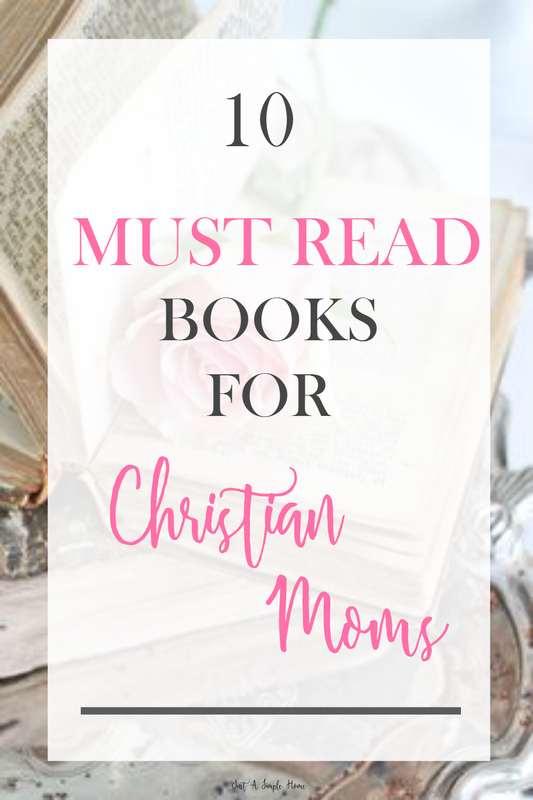 I thought I would share some of my favorite books for Christian moms with you, and I pray that they can encourage you to press on in this wild and crazy journey of motherhood. This post may contain affiliate links. Any commission I receive from this post will be used to support this blog. See the connection between spiritual warfare and your role as a mother in order for your kids to experience an awakening of their own. There is a spiritual war raging against the next generation. This book is a passionate call for moms to break out of the box of normal and dare to be led by the Spirit in their day-to-day parenting. Deven Wallace looks at biblical examples, including the mothers of Jesus, John the Baptist, Samuel, Moses, and Samson to empower mothers today. Sally Clarkson is a favorite of mine! I may own all her books. This is her newest book…. Every parent wants their child to grow into a gracious and competent adult. Faith, character, manners, initiative, gratitude—these are just a few of the qualities and skills children need to take to heart before they leave home. Yet parents today do not always have a clear vision for how to cultivate those traits. What does it look like for a mother to train her child’s heart to excellence and goodness? In 10 Gifts of Heart, Sally Clarkson shares biblical wisdom and practical insights from over thirty years of motherhood to show the way. This is a needed book when raising children in today’s world. Kristen shares the ups and downs in her own family’s journey of discovering why it’s healthiest not to give their kids everything. Teaching them the difference between “want” and “need” is the first step in the right direction. With many practical tips and anecdotes, she shares how to say the ultimate yes as a family by bringing up faith-filled kids who will love God, serve others, and grow into hardworking, fulfilled, and successful adults. Does your home sometimes feel like just a place to eat, sleep, and change clothes on the way to the next activity? Do you long for “home” to mean more than a place where you stash your stuff? Wouldn’t you love it to become a haven of warmth, rest, and joy . . . the one place where you and your family can’t wait to be? In this book, you’ll embark on a new path to creating special memories for your children; establishing home-building and God-centered traditions; and cultivating an environment in which your family will flourish. Sally also now has the LifeGiving Table and the LifeGiving Parent and I highly recommend those as well! READ THIS BOOK. If there was only one book you could read, make it this one. It will change the way you read and study your Bible, it will change the way you read and study any Christian based book. My book is underlined and highlighted throughout. Jen Wilkin’s book is a book I will gift to all my friends. We want to read the Bible. But sometimes it’s hard to know where to start. What’s more, a lack of time, emotionally driven approaches, and past frustrations can erode our resolve to keep growing in our knowledge of Scripture. 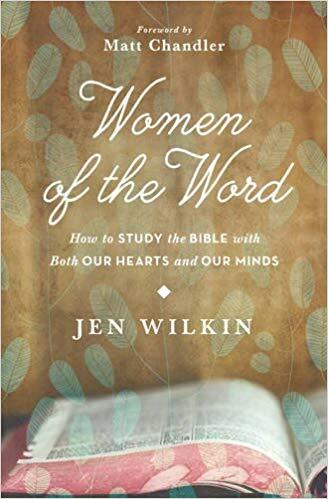 How can we, as Christian women, keep our focus and sustain our passion when reading the Bible? Every woman struggles with times of waiting—for a spouse, a child, a job. In Wait and See, Wendy Pope guides readers to focus on the Person of their faith rather than the object of their wait. Pope draws on the story of King David, who was anointed king nearly twenty years before he took his throne. This hands-on guidebook invites readers to record their own waiting discoveries. With practical suggestions and real-life stories, Pope shows readers how they can be active in the present as they hope for the future. I hope you enjoy some reading and take time for yourself! If you have any other suggestions for books, I would LOVE to hear them! Wow! This is an amazing list!! Thanks for putting it together! It was my pleasure, I love book lists! This is a great list. I’ve read the Best Yes (loved it) and I’ve got the Life Giving Home on my shelf to be read. I also really like Give Them Grace. These are some great resources – so many new books to add to my list! Thanks for that suggestion! The Life Giving Home is so good. It just inspires me to be better as a mom and homemaker. I would love to do a book club with it! I have The Best Yes, and learned a lot from reading it. The 2 books about home – preparing your child before leaving home, and creating a welcoming home are both books I think I would benefit from reading. Thanks for sharing. I love your picks! I’ve read “the Best Yes” and I’m a huge fan of Kristen Welch. I’m going to suggest some of these to my Christian women’s bookclub. Reading is definitely one of the things I miss most after having a baby. I had never thought about listening to books- what a great idea. And thanks for these book recommendations! Great list. I should probably read a few of these before my baby gets here. I almost picked up Pressing Pause the other day and now I’m wishing I had! Thanks for the recommendations. Thank you for the list. I’ve read a number of them already and now I know what to put on my “To Read” list. Thanks! I already downloaded ‘Hands free mama’ a year ago, I might read it again. ‘Grace based parenting’ is now on my list! Great list! I will be checking these out!